I would like to thank you for your interest in the Our Lady of Lourdes Catholic Multi-Academy Trust and welcome you to our website. 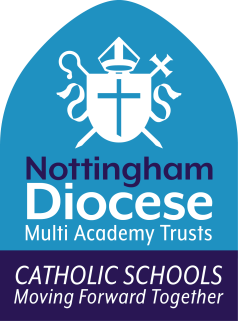 This CMAT is one of four created across the Diocese of Nottingham as part of a visionary approach to Catholic education across the Diocese. The Our Lady of Lourdes CMAT brings together the 21 Catholic Primary and Secondary schools in Nottingham City and Nottinghamshire. Our priority is to ensure the very best Catholic Education for all young people in our community, whatever their circumstances. We will achieve this together, through a strategic approach to sharing best practice, effective challenge and support from a central standards and performance team and opportunities for high quality Continuing Professional Development offered by the CMAT’s teaching school, The Nottingham Catholic Teaching School Alliance. As St Irenaeus said, “The Glory of God is a human being fully alive.” My vision for our new Trust is that all of our children and young adults will be happy, safe and inspired to flourish spiritually, socially and academically so that they can “live life to the full”. This is a really exciting time in education across our Diocese and it is a great privilege for us to be able to play a central role in shaping the all round education of the young people in the Our Lady of Lourdes Catholic Multi-Academy Trust. I really hope you will join us on the journey! Please do not hesitate to contact us if you would like to know more about us!